Cookers and showers are two essentials we can’t do without in the home. When you need one or both repairing or replacing, you need a qualified professional who you can rely on. AC Electrical Services, with a proven track record in all aspects of home electrics, can offer friendly advice at a moment’s notice and give you a free no-obligation quote. 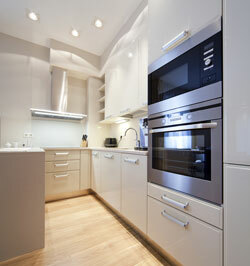 You may be updating your home and have chosen a new appliance, or looking for a fast fix on a tight budget. Whatever your circumstances, we will give you the benefit of our vast experience. We can provide a full installation or repair service to fit in with your plans, ensuring you’re not left without the essentials for long. Talk to a friendly expert about your cooker and shower requirements. Value for money, No mess, very reliable. Installed a shower quickly and no problems.